We really take haldi for granted, don’t we? Our grandmothers and mothers can go on and on about the benefits of haldi, but we hardly ever listen. However, recent studies have proved the long-held beliefs about haldi to be absolutely true. We have a superfood in our kitchens, and we don’t even acknowledge it. It’s about time we did. Apart from adding unmatched flavour to our food, haldi (or turmeric) has amazing qualities. It can do wonders for your overall health and make your skin glow like a lightbulb. Here are six benefits of haldi that will convince you to do more with it than just sprinkle it on your sabzi. If you don’t like milk, boil haldi in water and drink before bedtime. Add some ginger and honey to balance the strong flavour. We’ve all seen and used haldi in its powder form. But did you know that raw haldi, the root from which we get this beloved spice, is even healthier? Consuming raw haldi can do wonders for your digestion. It boosts bile production which makes the process of digesting food in our bodies smooth as butter. If you have Irritable Bowel Syndrome, raw haldi can give you significant relief from any kind of stomach discomfort. Going to a doctor after a certain age almost always involves a liver function test. And if the doctor looks grim, it means you have a fatty liver. That can happen for multiple reasons, but the point is that it must be fixed. Haldi is a great way to do that. Cooking turmeric in a sabzi or dal won’t help in this regard. Instead, try out turmeric tea. Certain curcumin supplements may also help with keeping your liver healthy. But, as should be the case for everything health-related, please consult your doctor first. A healthy dosage of haldi can keep any kind of aches and pains away. Whether it’s your arthritic joints or bad menstrual cramps, give haldi a shot. Due to its strong anti-inflammatory properties, turmeric soothes these and other kinds of pains. 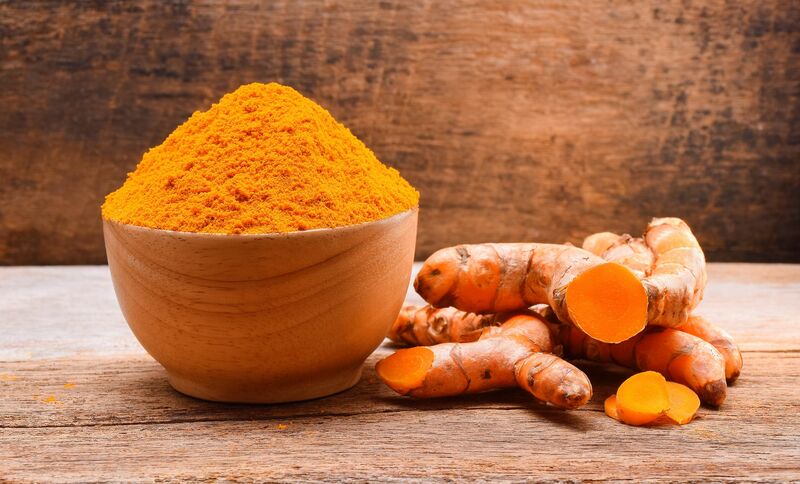 A study, published in February 2018, found that turmeric may be more effective than standard pain relief medication in relieving pain from sports injuries. Published in the European Review for Medical and Pharmacological Sciences journal, the study says that curcumin was found to ease discomfort in injured rugby players in less than three weeks. The next time you feel those horrible cramps, make yourself a comforting cup of turmeric milk or tea. Who doesn’t want glowing skin? Instead of using expensive creams and lotions which may or may not work, try haldi. You can make face packs with it or use it as an exfoliating scrub. Add a pinch of saffron to a turmeric and milk paste, and use it as a scrub once or twice a week. Over the span of a few weeks, you will see a visible improvement in the texture of your skin. This is one of the reasons behind the haldi ceremony at Indian weddings. What are you waiting for? Dive into the spices cabinet in your kitchen, and start deriving the multiple benefits of haldi. And if you’re worried about those pesky haldi stains that refuse to leave your clothes, here’s our guide on how to get rid of stubborn stains.